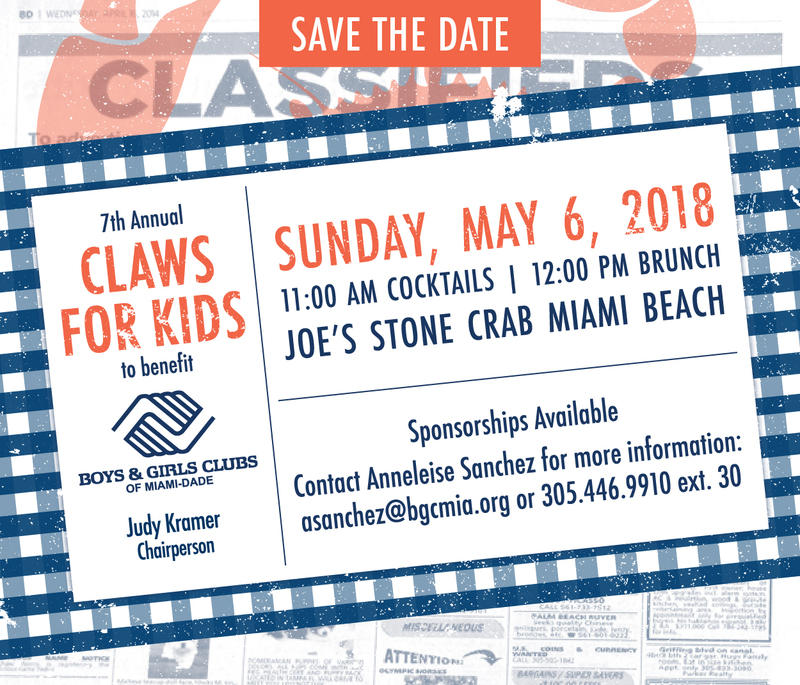 Join us Sunday, May 6 at 11 a.m. for our 7th Annual Claws for Kids at Joe’s Stone Crab Miami Beach to benefit Boys & Girls Clubs of Miami-Dade. 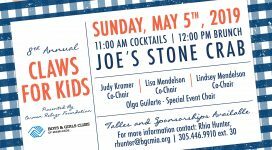 The event will kick off with a cocktail reception at 11 a.m., followed by brunch at noon. Judy Kramer is this year’s chairperson. 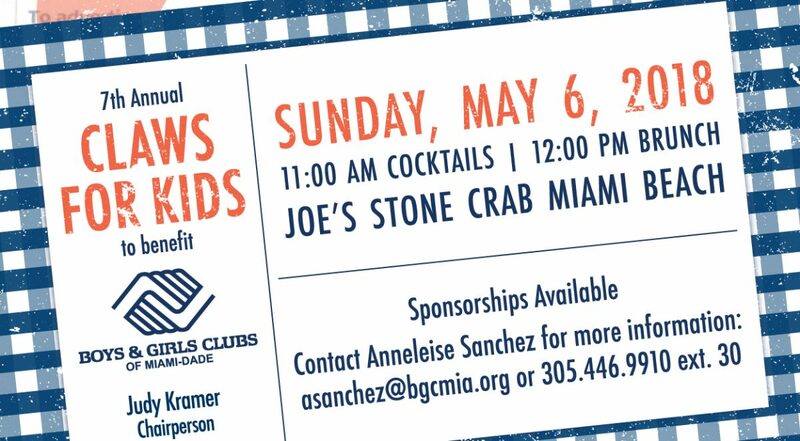 For sponsorship opportunities, please contact Anneleise Sanchez at asanchez@bgcmia.org or 305-446-9910 ext. 30.